Virat Kohli and Anushka Sharma make one of the cutest celebrity couples. Their relationship has been a ray of hope for many fans in the gloomiest year of the decade so far. Therefore, there were additional cheers towards the end of 2016 when media had created a lot of buzz on Anushka Sharma and Virat Kohli’s engagement. Yes, social media is filled with stories of Virat and Anushka getting engaged on the 1st of January 2017. The rumors first broke out when the couple took off to Uttarakhand to celebrate New Year eve. Soon after, pictures and videos of their stay started appearing on the interweb. Rumour only got stronger when Anil Ambani, Amitabh Bachchan and Jaya Bachchan landed in Rishikesh where the couple was holidaying. However, the Indian Test skipper has gone on to quash rumors about the rumors of his engagement to Indian actress Anushka Sharma. The two had split up earlier in the year but reports said that they were back together, with an engagement on the cards. Virat Kohli took to Twitter today morning to announce that they are not getting engaged. Virat said that they wouldn’t hide their engagement news; have a look at his tweets! 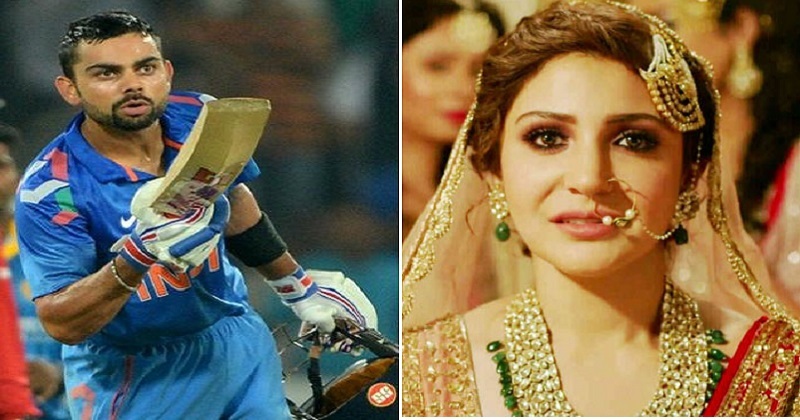 So finally, the question lies whether Virat and Anushka actually getting engaged? Well, you will be disappointed, but the answer is a BIG NO! These were just rumors, Virat and Anushka don’t have any plans of getting engaged or married in 2017. Well, let’s hope they have a good news for us soon. Till then, Virat and Anushka, enjoy your blessed vacation!